Today’s challenge on Splitcoaststampers is Inspiration Challenge IC341 ~ Polli. This was an interesting site with lots of cool stuff, but I was immediately drawn to the tree from this garland. I love the look of this bold green tree! 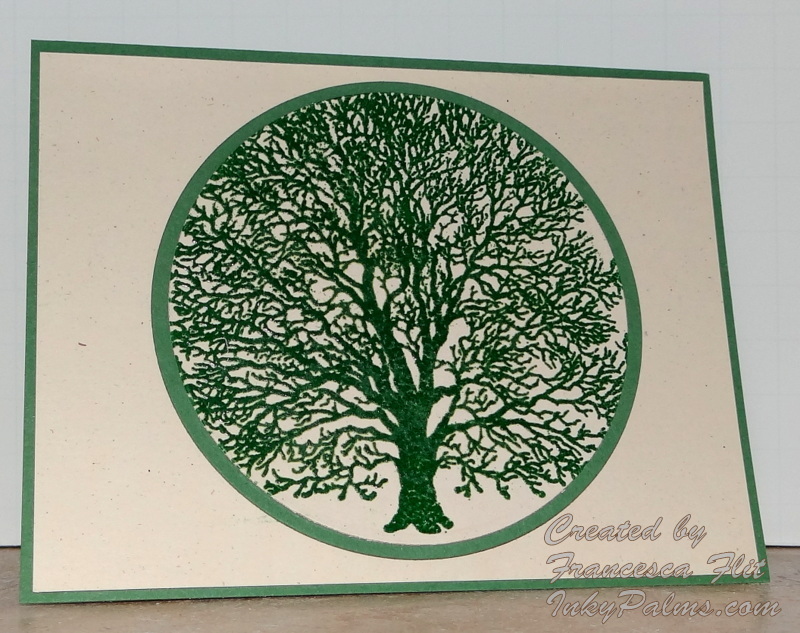 For my card, I embossed the PSX Black Walnut Tree in green on Stampin’ Up! Naturals Ivory cardstock. I cut the image and mat in Stampin’ Up! Garden Green with Nestabilities Circle dies. I used Naturals Ivory for the background and Garden Green for the card base, I wanted to keep it clean and simple to preserve the graphic nature of the inspiration piece. Here is another one of my personal favorite cards that I made last summer for a masculine card challenge, using the sketch from Splitcoaststampers Sketch Challenge SC344. I used one of my favorite Stampin’ Up! sets, Inspired by Nature, as well as the turtle from Nature’s Walk and sentiment from Great Friend. 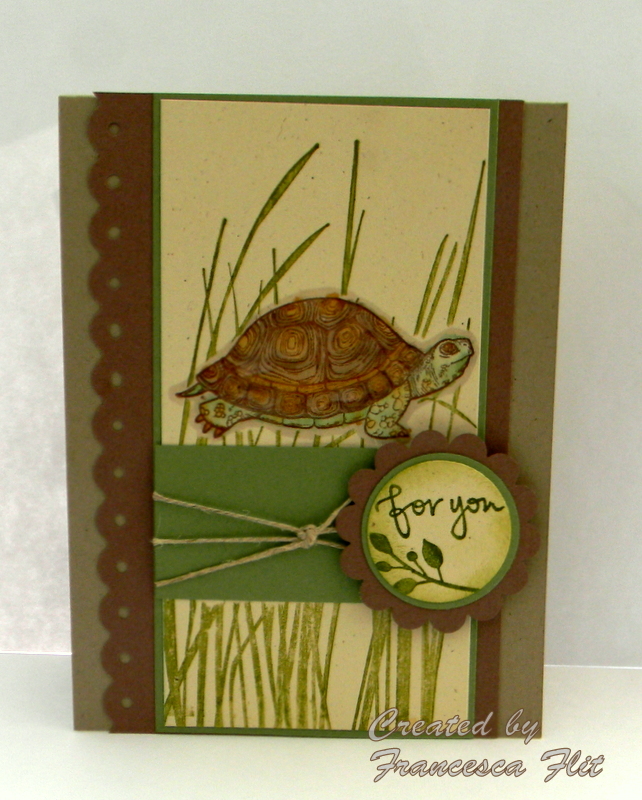 I stamped the turtle on Stampin’ Up! Naturals Ivory in Close to Cocoa and colored with Stampin’ Up! markers and a water brush. When it was completely dry, I used Crystal Effects on the shell. I masked the turtle, stamped the Grass in Old Olive and mounted the image panel on Wild Wasabi. I added the horizontal panel and wrapped the twine around the panel. I tied the knot with a separate piece of twine, ends trimmed short, with a dot of Crystal Effects on the ends. I stamped the sentiment on Naturals Ivory and cut the layers with Stampin’ Up! punches. I sponged around the edges before matting. I used a border punch on the Close to Cocoa Panel and mounted on a Kraft card base. This is a versatile design, suitable for any occasion.